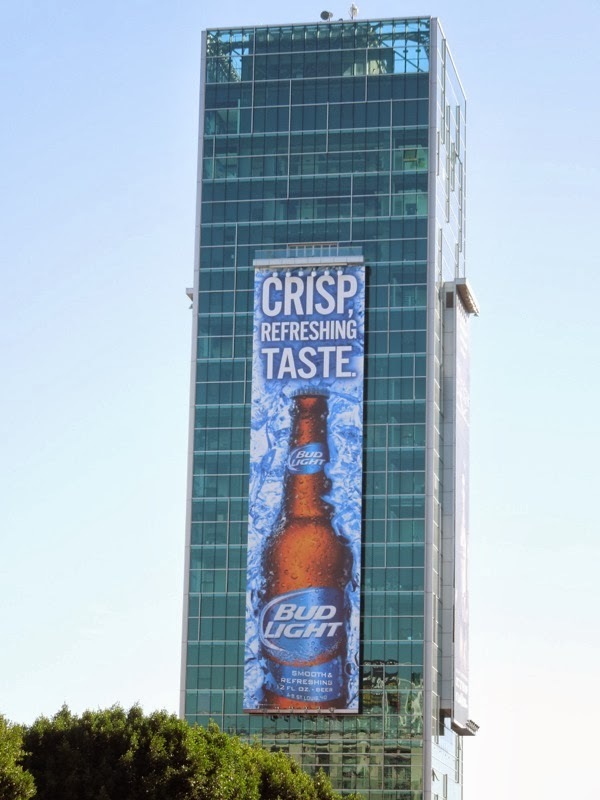 Aah, the crisp. 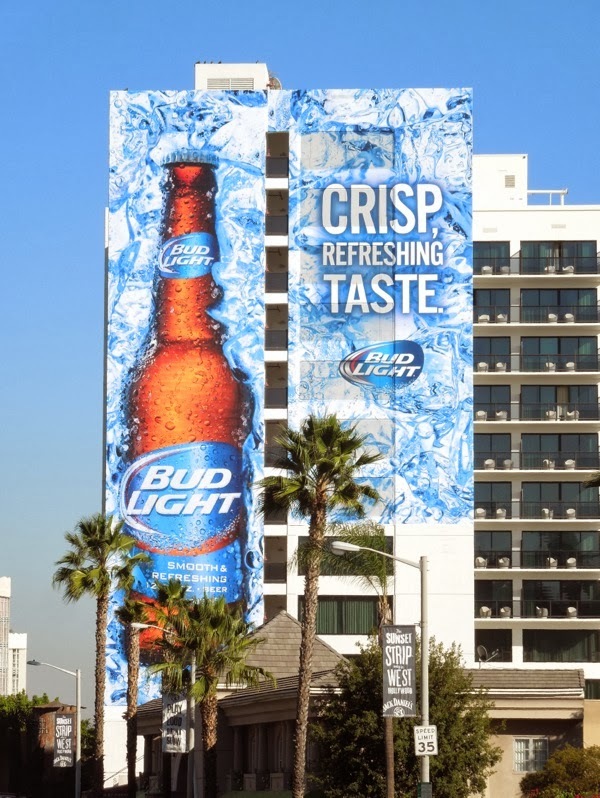 refreshing taste of Bud Light served chilled straight from a bucket of ice (or the refrigerator), perfect for a hot winter's day. No, wait a minute. 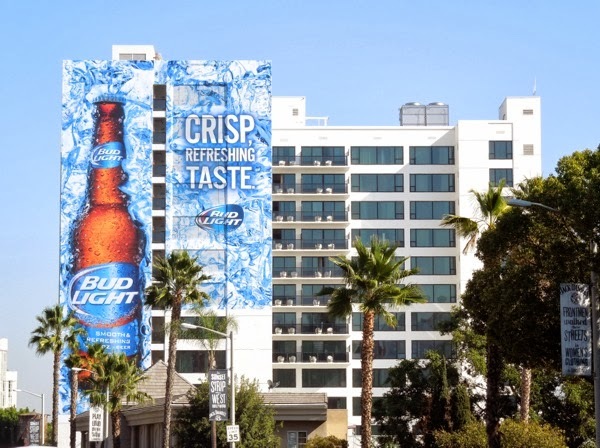 These giant billboards for the lower calorie beer from Budweiser don't look at all out of place in sunny Southern California, but the sight of so much ice may not be so welcome in other cooler places around the globe at this time of year. 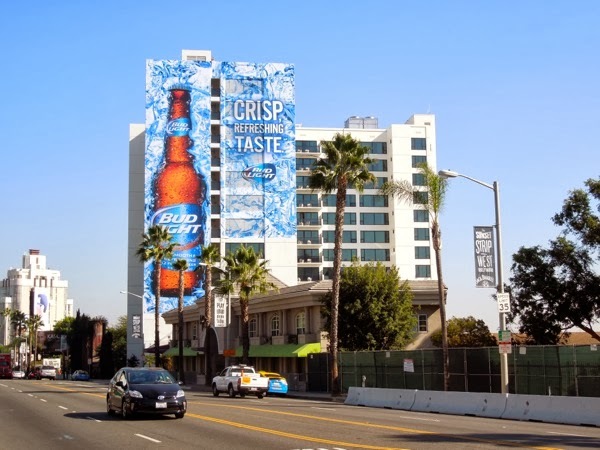 These big and bright Bud Light billboards with the beer bottle as the hero of the ad creatives were spied on the side of the Mondrian Hotel along L.A.'s Sunset Strip on November 8 and on one side of the Sunset Vine Tower in Hollywood on November 14, 2013. 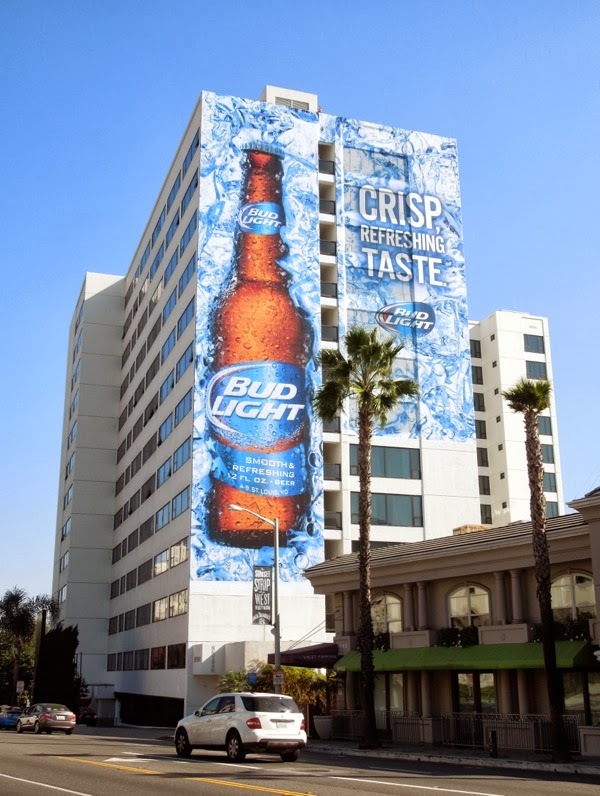 If you're fan of ale, lager and bitter, be sure to check out all these other beer brand ad campaigns here at Daily Billboard.